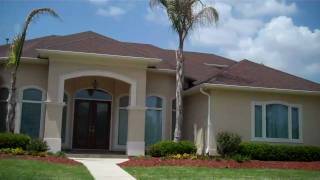 This week’s video tour takes place in the Belle Chasse neighborhood of Pleasant Ridge Estates. Located in the upper part of Belle Chasse, Pleasant Ridge is just off of Woodland Highway and boasts some of the finest homes in the area. Gated and secure, the community has very little turnover…a testament to how much the home owners love living there. Join us on a drive through this lovely neighborhood.